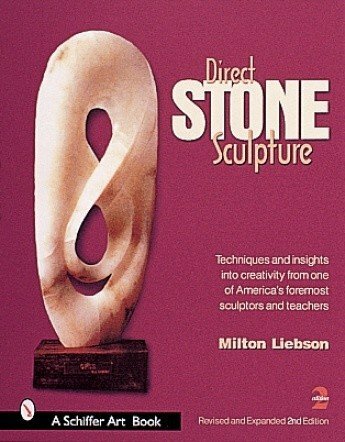 The ancient and wonderful art of direct stone sculpture is brought to life in this comprehensive new book by the noted sculptor, Milt Liebson. After a brief, informative historical overview of stone sculpture, he leads the reader through the hands-on experience of sculpting in stone. 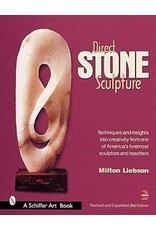 This is an invaluable book for artists and would-be artists in stone.The types of stone used in sculpture are covered, as well as the basic tools for hand sculpting and the techniques for their use. For the advanced sculptor there is detailed information on power tools and their use, the methods of lamination and repair, the business side of stone sculpture, and other helpful information gleaned from years of experience.Detailed photographs take readers from rough stone to the polished and mounted piece. Already a standard reference, **Direct Stone Sculpture now includes 47 new pictures, updated stone-working techniques, and a gallery of students’ work.